“公開論文1: 中国の活発な造船工業についての包括的調査–商業的開発と戦略的関連” [Published Paper 1: A Comprehensive Survey of China’s Dynamic Shipbuilding Industry: Commercial Development and Strategic Implications], pp. 9-12. “公開論文2: 偵察,シグナルの発信, そして門衛行動–日本水域における中国の海軍作戦と国際法との関係” [Published Paper 2: Scouting, Signaling, and Gatekeeping: Chinese Naval Operations in Japanese Waters and the International Law Implications], pp. 13-16. “公開論文3: 中国の機雷戦 ‘暗殺者の戦棍’ 能力” [Published Paper 3: Chinese Mine Warfare: A PLA Navy “Assassin’s Mace” Capability], pp. 16-22. “公開論文4: 中国の鄧以降時代における民事・軍事関係–危機管理と海軍の近代化への関連” [Chinese Civil-Military Relations in the Post-Deng Era: Implications for Crisis Management and Naval Modernization], pp. 22-23. “公開論文5: 5匹の龍が海をかき回す–中国の海洋取締能力の改善における挑戦と好機” [Five Dragons Stirring Up the Sea: Challenge and Opportunity in China’s Improving Maritime Enforcement Capabilities], pp. 24-25. 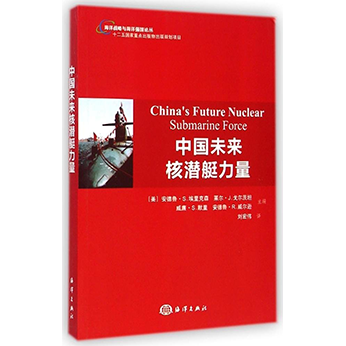 “書籍1: 将来の中国原子力潜水艦部隊” [Book 1: China’s Future Nuclear Submarine Force], pp. 26-27. “書籍2:中国は海へ進出–歴史的経緯の比較による海洋の変革” [Book 2: China Goes to Sea: Maritime Transformation in Comparative Historical Perspective], pp. 28-29. “書籍3: 中国のエネルギー戦略–北京の海洋政策への影響” [Book 3: China’s Energy Strategy: The Impact on Beijing’s Maritime Policies], p. 29.